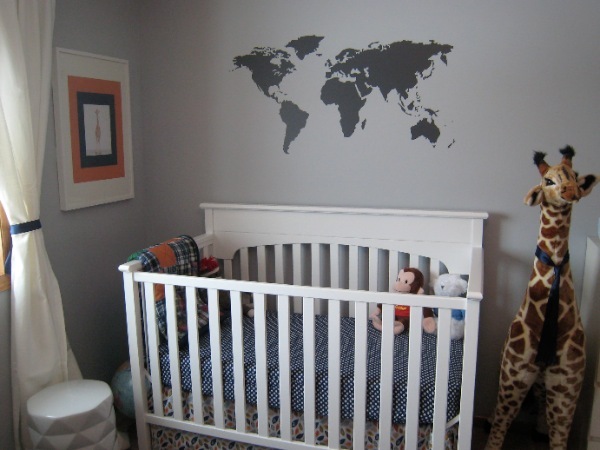 When we were setting up our travel-themed nursery, we searched high and low for reference photos of any other modern travel nursery; we came up empty and had to forge our own path. We're happy with our travel nursery, but we're not interior designers so it would have been a lot easier if we had some inspiration photos to build off of. So when I run across a travel-themed nursery I like, I post photos in hopes of helping anyone else getting ready for a jet-setting baby. 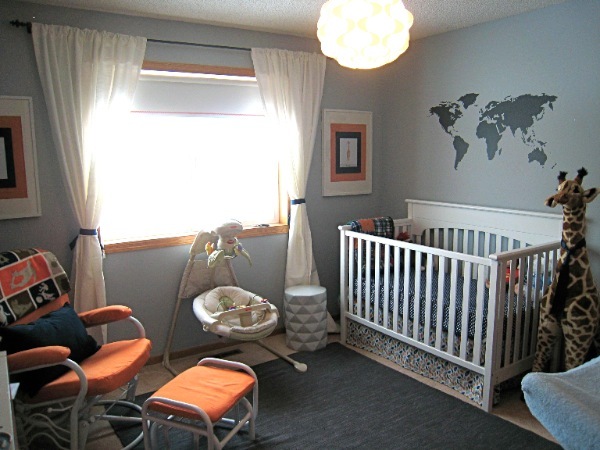 Katie, who is an interior designer at Re:fresh Design Studio, set up a fantastic travel-themed nursery in her own home. Check out her site for more photos and a list of where you can find these inspiring items.